Hi there! My name is Trista Rakow. I’m a Minnesotan mom who is passionately driven to make my son’s childhood absolutely magical and then I like to post about it here. I created this site to document my creative endeavors which usually include painting, scrapbooking and DIY craft projects. 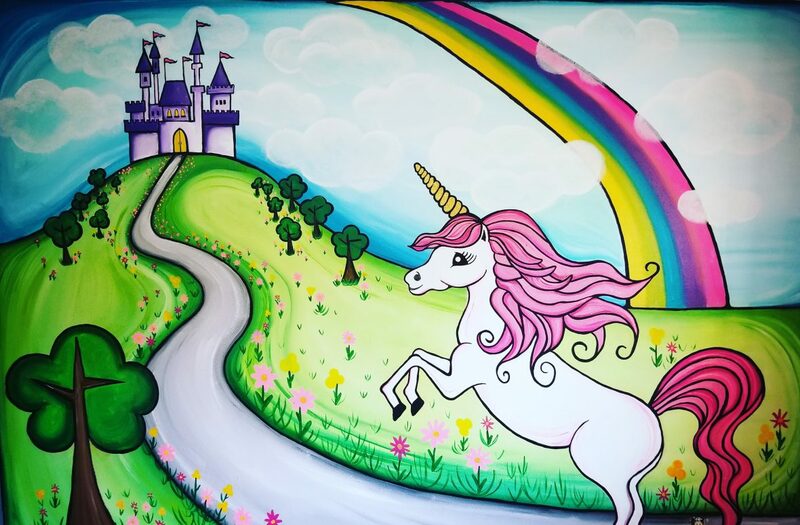 I specialize in painting large scale artwork for kids rooms. If you are interested in purchasing a custom mural you can find more information here. I’m also a mother to an angel baby named Audrina Marie. Our princess was diagnosed with Thanophoric Dysplasia and passed away March 23rd, 2018. I’ve been blogging about my experience to help heal and hopefully help others. If you like my work or find my content interesting please follow my Minnesota Mom Blog. Welcome to the Art Gallery of Trista Rakow! I don’t currently have any inventory for sale, but I’m hoping to have more available soon. Once it’s ready, I’ll have it up available for purchase through my Etsy Shop. Thanks for looking!